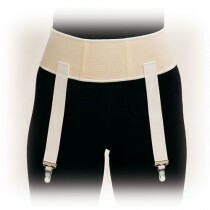 Compression Garment Adhesive & Garter Belts available on Vitality Medical provide a quick, easy and convenient way to keep compression garments in place. These garment adhesives and garter belts not only keep compression stockings from bunching and causing discomfort, but also help keep compression where needed for better treatment. Garters have been around for hundreds of years to prevent stockings from slipping down throughout the day. Our affordable and quality garters are machine washable and durable for all day comfort. 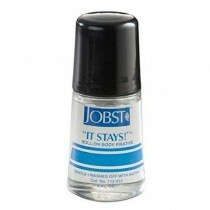 Garment adhesive like It Stays Body Adhesive can be used with sleeves or leggings prevent chaffing and irritation.